After our plane landed at McCarran International Aiport, we didn’t make a beeline for the Las Vegas Strip. Instead, we headed northwest towards the canyons, as I had made us a reservation for a 2-night stay at the Red Rock Casino, Resort, and Spa. 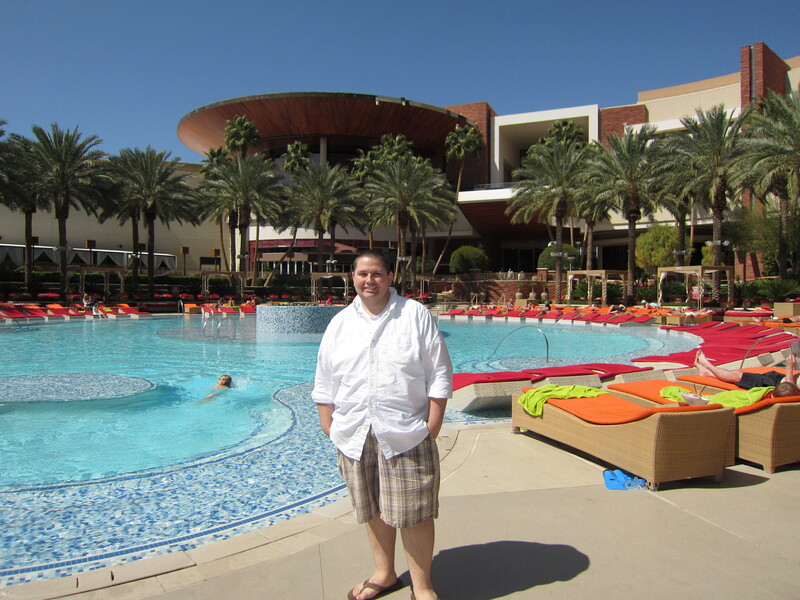 While this was Johnny’s first trip to Nevada, I found myself back in Sin City for the third time. 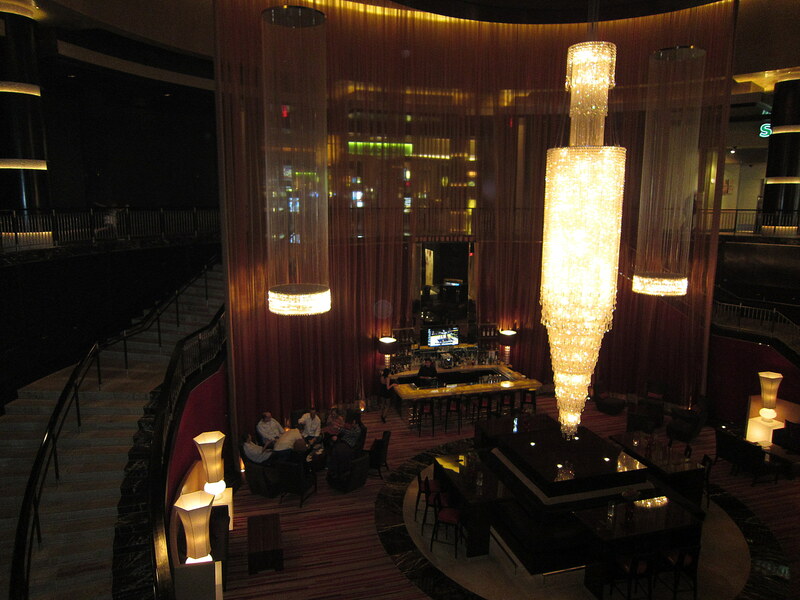 The thought of spending all of my time casino and hotel hopping was getting a little old. I told Johnny that it would be fine for us to do some of the usual Vegas stuff. 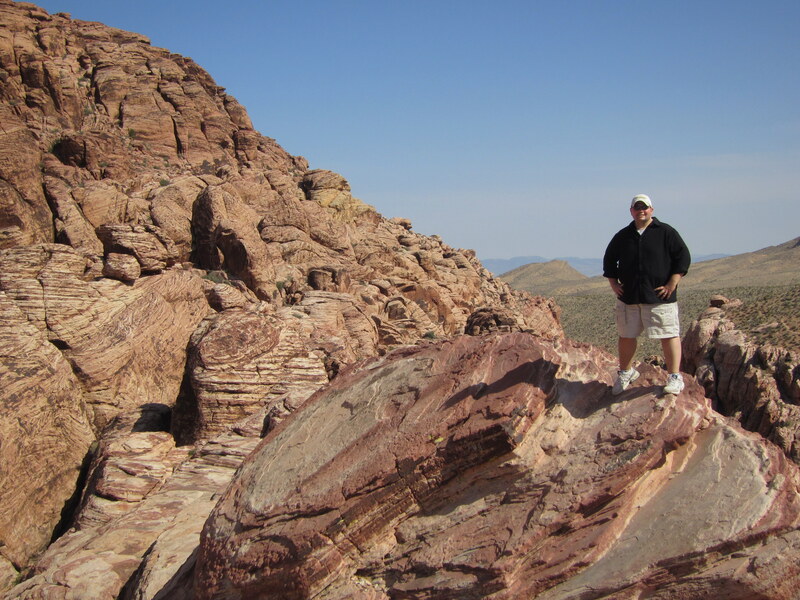 But I was also looking for a new adventure: discovering Nevada’s great ourdoors. I could not have made a better choice by making the Red Rock Resort our home away from home for the first couple of days of our Vegas trip. The mountains surrounding this resort might be rugged, but as soon as we entered the hotel lobby, we saw elegance mixed with touches of luxury. 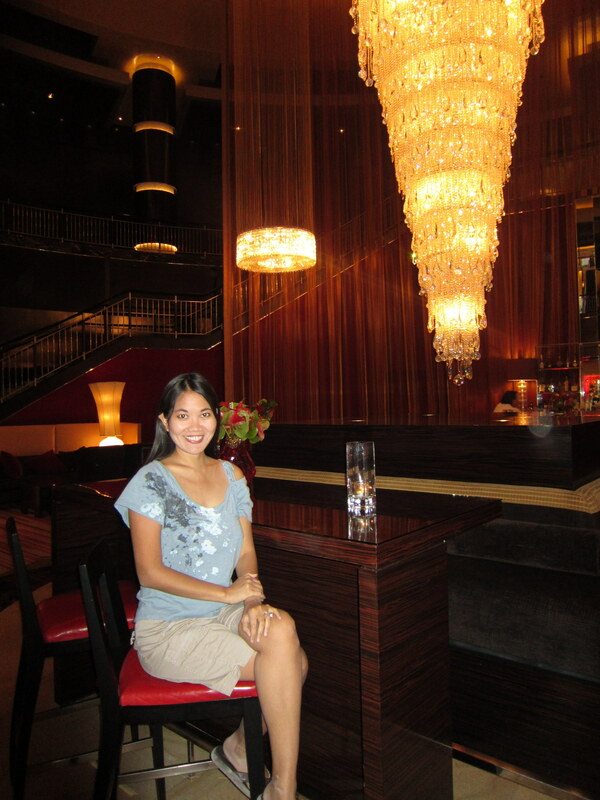 My eyes were immediately drawn into the 32-foot high Swarovski crystal chandelier that hangs in the rotunda. 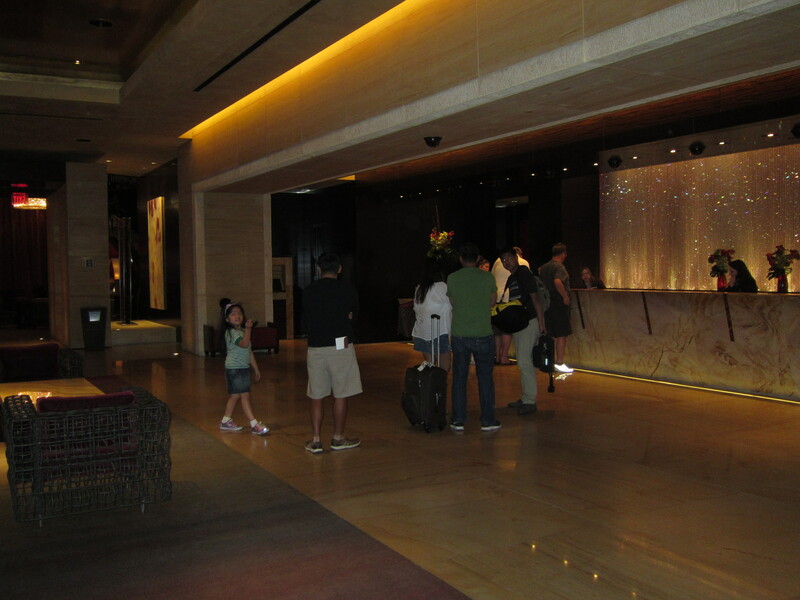 There were plenty of staff members to help guests with checking in, and they were very professional and courteous. This is a trait that I noticed throughout the resort. 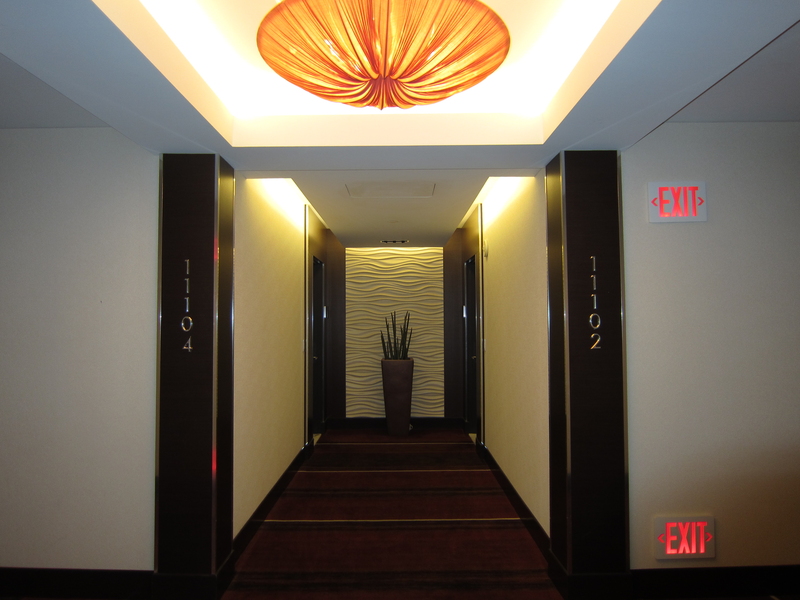 Every employee we encountered was genuinely interested to make our stay pleasurable. 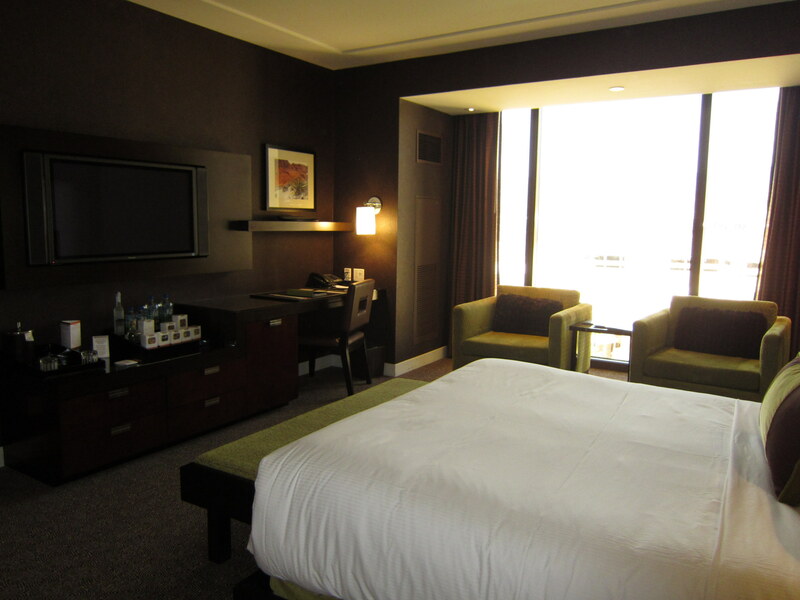 Since we were redeeming free nights using Chase’s Ultimate Rewards, we were assigned to a standard room, which is a deluxe king with mountain views. 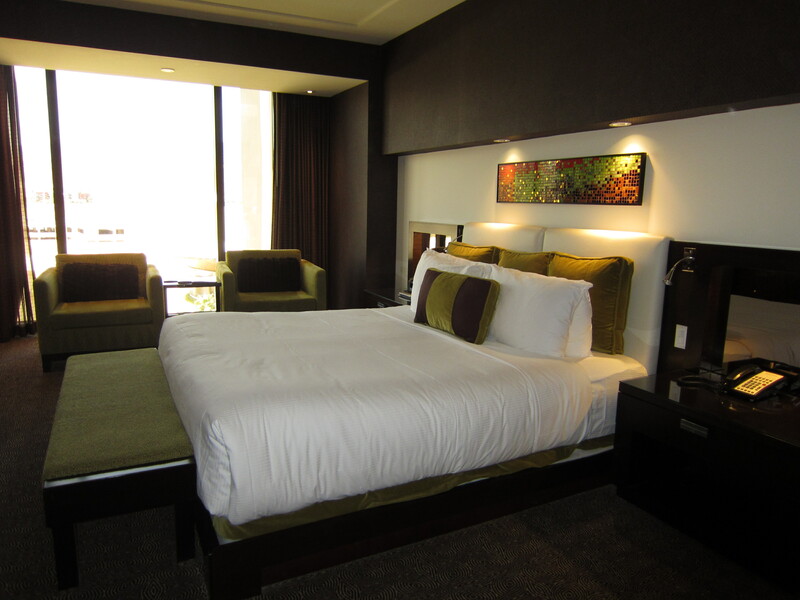 However, even their most basic room is designed to impress. 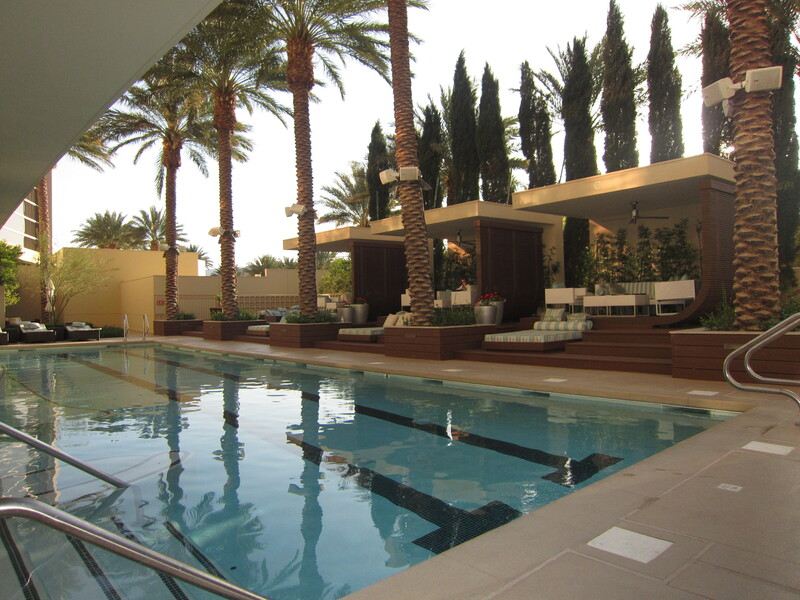 It is spacious, contemporary, and filled with top-notch amenities. One word of caution: their mini bar is equipped with a motion censor. Right down to the snack tray. So don’t touch or move anything unless you really intend to consume the food or beverages. This picture was taken from the floor-to-ceiling windows in our room. So what does the bathroom look like? Well, it’s a marble heaven, fitted with a deep-soaking tub and its own TV. Once our luggage was delivered to our room, we went straight out searching for lunch. The restaurants are located in the same area as the casino. 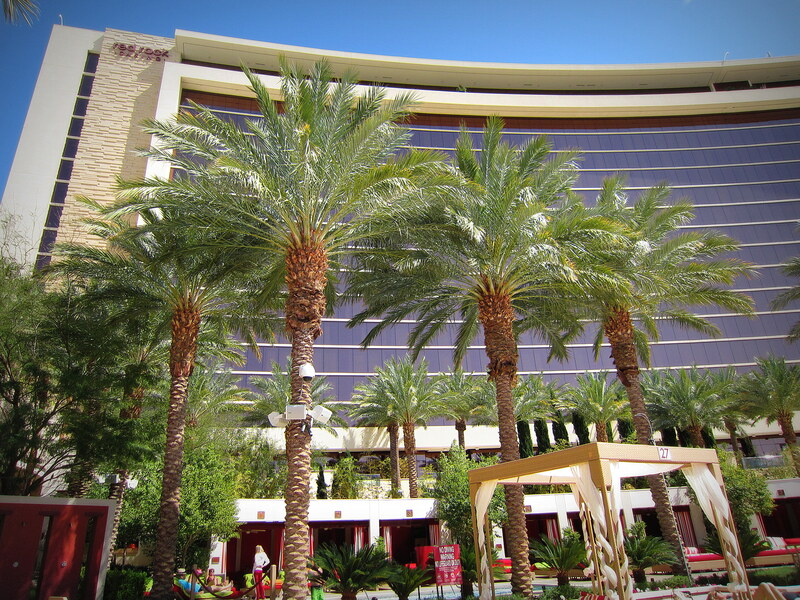 Just like the big hotels on the Strip, the choices for food at the Red Rock Resort are endless. Everything was delicious and, as we later found out, costs much less than those in the heart of Las Vegas. No longer hungry, we decided to tour the grounds and see the pool complex for ourselves. It consists of a zero-entry main pool with a water fountain, surrounded by a number of wading pools. Considering that all guests have to pay a daily resort fee of around $25, make sure that you set aside some time to enjoy these facilities. 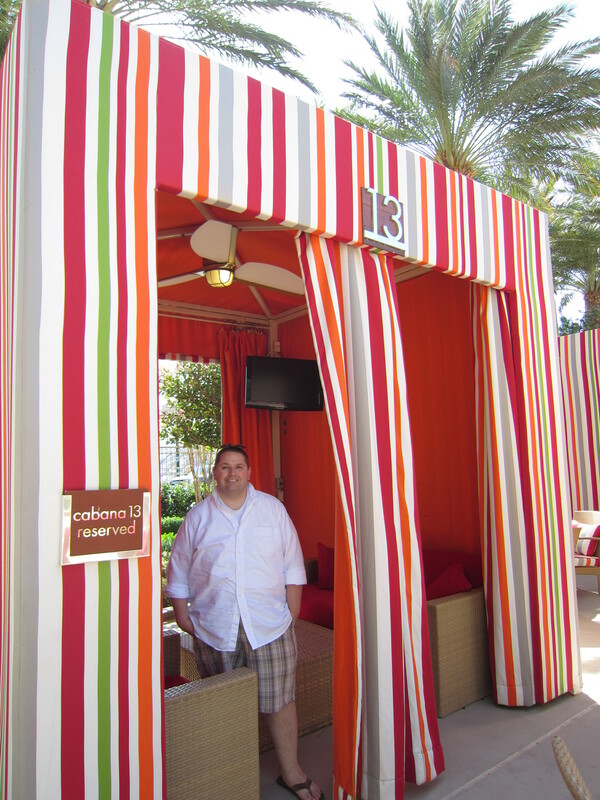 You can rent your own private cabana. Later that night, Johnny played blackjack and broke even. The casino, which is frequented by many locals, is exceptional, and it won’t leave you yearning for the Vegas Strip casinos. Johnny does not skip a beat when he’s on vacation. He won’t go to sleep until he makes sure that he’s done just about every activity. Besides gaming, he also managed to catch a movie at the resort’s movie theater, and would have tried the 72-lane bowling alley if they weren’t setting up for an upcoming tournament. 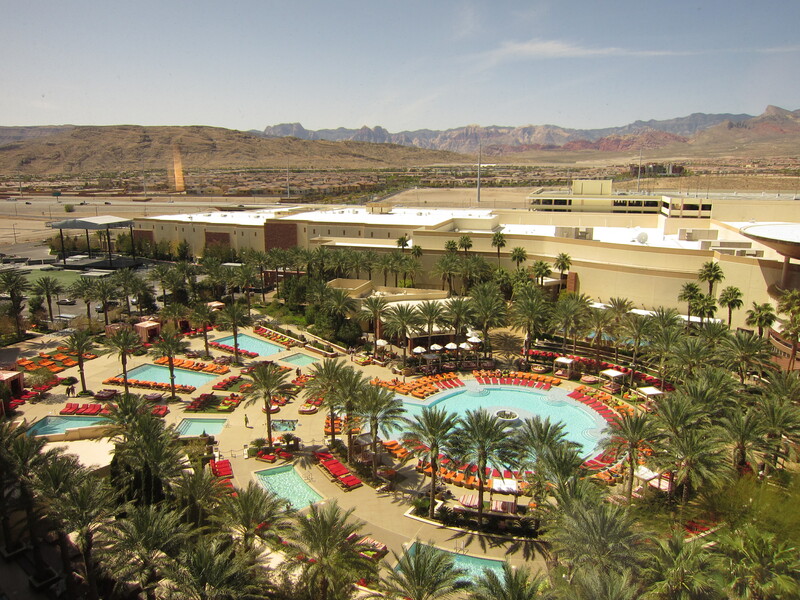 Another advantage of staying at the Red Rock Resort is its proximity to some of Nevada’s beautiful parks, such as the Red Rock Canyon National Conservation Area and the Spring Mountain Ranch State Park. 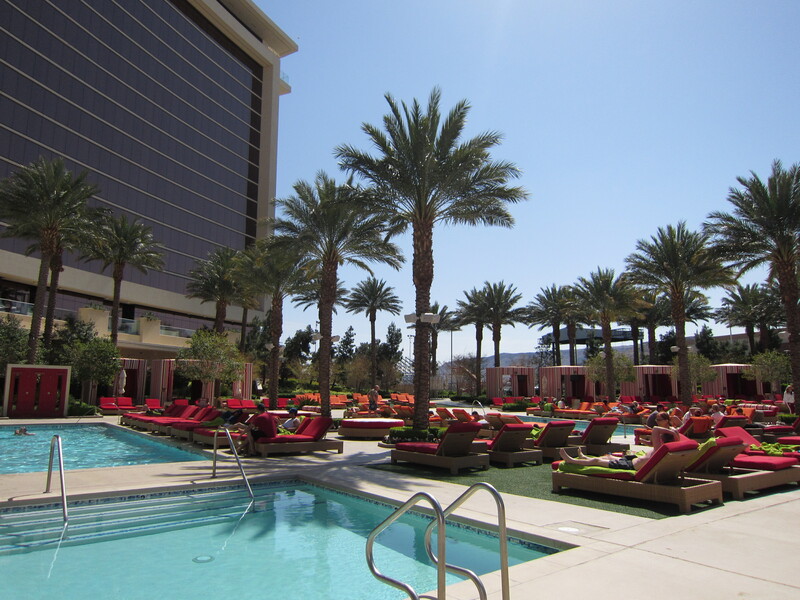 Yet at the same time, you are only about 10 miles away from the heart of Las Vegas. 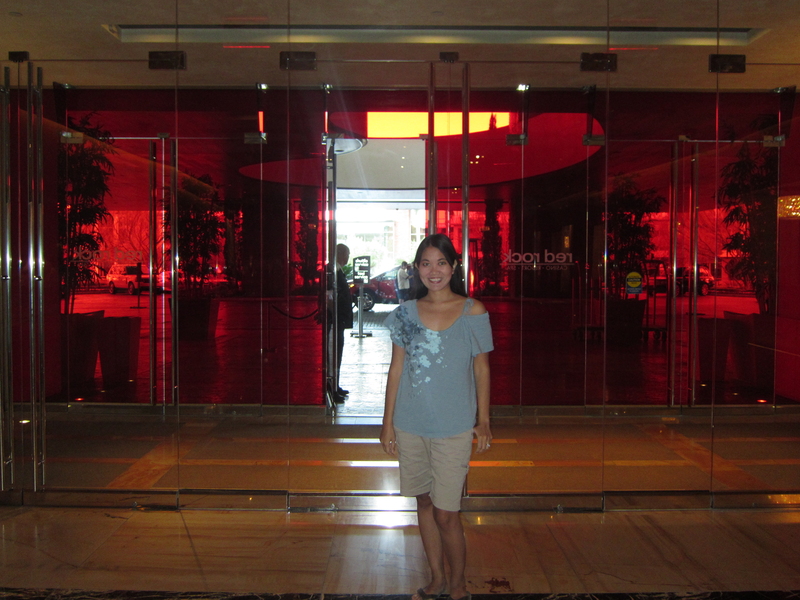 We were very satisfied with our stay at the Red Rock Casino, Resort, and Spa. Johnny felt that he would have been just as happy if we were to spend all five nights of our Nevada vacation in this hotel. Even before we checked out, he had already asked me when we could come back to this dessert oasis. Aside from the awesome view, the bath tub at Red Rock Resort was definitely to die for!